Believe is my word for 2011. It may be a difficult word, but I am ready for the challenge. I also see the negative side. I feel up to the challenge for 2011. Monday series called, Spirit Whispers. and 2011 will be the year to listen and pay attention to what I Believe. I do BELIEVE in magic, as shown in the picture. 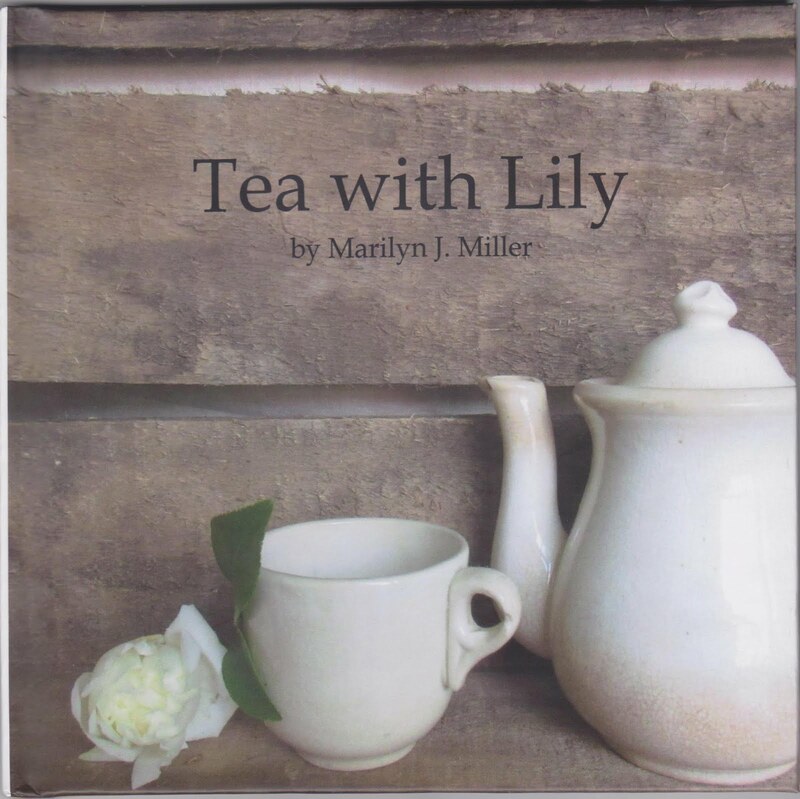 pull up a chair or a blanket, have a cup of tea, and share along with me. Have you chosen a word for 2011? Each year when a word chooses me I think this word will be easy to pay attention to. Each year I am surprised by what I learn or struggle through. I thought JOY would be super easy, but I was wrong. As you can see in my collage, there is plenty of JOY in my life. noticing times when I didn't feel so Joyful. Times of sorrow, sadness, and yep even some depression. Sometimes it was difficult to rise above it and feel the JOY. I would find superficial ways of creating the JOY. Sometimes it was turning up the music loud and feeling it in my soul. There were times when I needed to take an hour out of my day to walk through a garden. But always that word would sing in my soul and I would remember. but then that is a part of what Delights my Heart. maybe the word you chose for 2010 has taught you some valuable lessons. Do you have a new word for 2011? I do have one, which I will tell you on Friday. still finding the JOY in my days. Celebrate Christmas with the Christ Child. Last week, as a gift to myself, I bought one branch of white lilies. There were seven buds on the one branch. the season watching each bud open. The JOY I have received from this one branch has been delightful. It often is the small things that bring us so much pleasure. 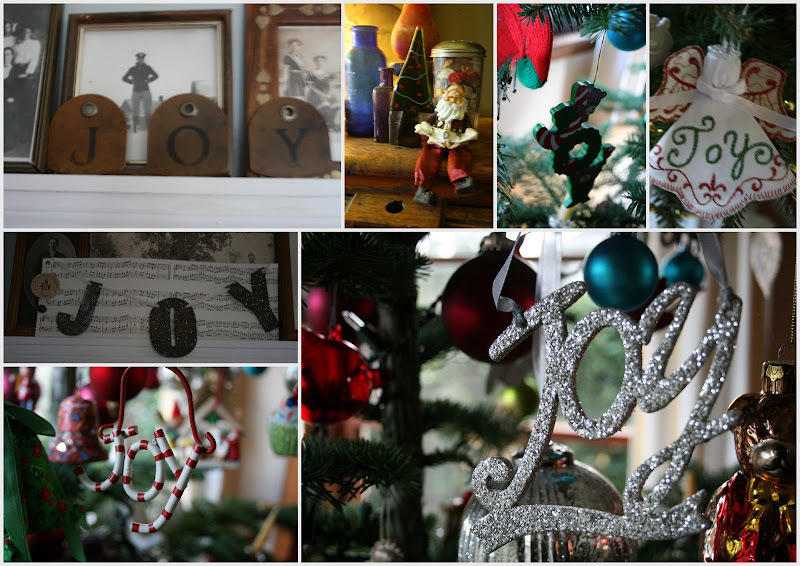 What small things are you noticing this season that are bringing you JOY? I hadn't been caroling in many years. I also hadn't waded through the crowds at Portland's Peacock Lane. But last weekend I did both. The houses in the two blocks were decorated beautifully. Even the horse drawn wagon was fun to see traveling along the street. And there in front of the house in very big letters stood my word for the year. The lights how they twinkled. It definitely puts you in the spirit of the season. My office needed a tree to celebrate. Well you know I am working on tea things in there. It inspires me to tea. So off to the kitchen for a cup of my favorite. Then I sit here with my cup and share with you. She remembered I loved this little cup and sent it to me. Oh thank you for remembering me. A tea house resides here too. All lite up and waiting for you to come and have a cup of tea with me. Another friend's sweet remembrance gifted me with this lovely little teapot. Aren't friends the very best, so thoughtful to remember. I feel like each one of you is a friend. Have a wonderful Christmas, dear friends! With finger marks on the window glass. Curtained and free of blemish, or scar. Would waver a moment between the two? May clean a glass til it shines again. Panes never soiled by small hand prints. Photo ~ My Christmas tree through the window. Yesterday I had been "requested" to come to the court house for jury duty. around us. At lunch time we were dismissed as most of the trials were settled out of court. and enjoy the hustle, bustle of city life. I was reminded of the angels around us. with a request for help. The woman didn't have much, but gave what she had in her pocket. to special causes, or praying, or just sitting with someone that needs a hand held. There are angels all around us. find your opportunities to be angels to those you are around. Take time to notice what you notice and be present. family quilt, which I am enjoying above my fireplace for the holiday season. It is too fragile to use, but just to be enjoyed. 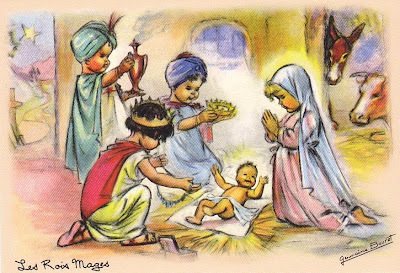 Have you ever seen a plain brown St. Nicholas? He is an antique and was used to mold paper St. Nicholas's. Is this my new favorite toy? Will he leave me something under the tree? Do I find my own ornaments hanging from the lower branches? What fun this Christmas season is. Take a peek in the dollhouse. When Tasha Tudor had young children she created an intricate dollhouse. 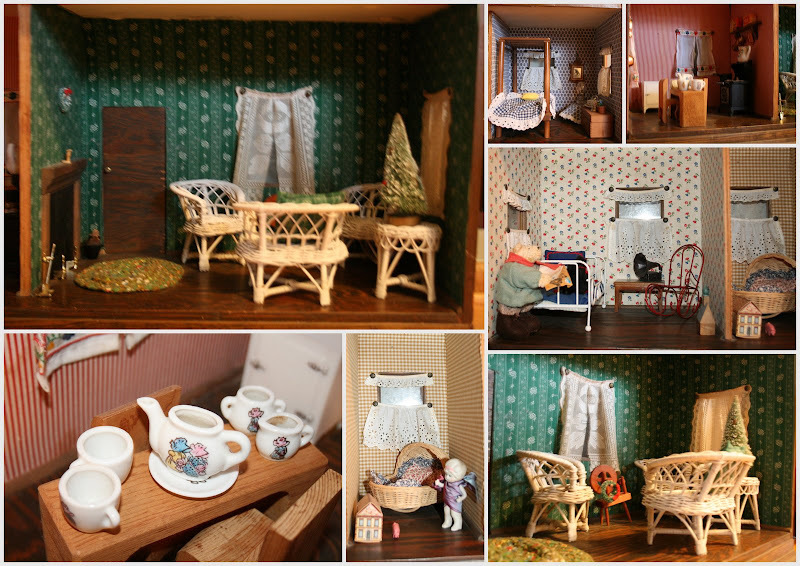 The dollhouse I have is not as detailed, but I put it out for the tea to represent what Tasha Tudor once did. where the wife later lived in the attic and the husband found another woman to live in the house. This dollhouse was designed by myself and made by my husband for our daughter when she was 3 years old. It was so much fun to bring it out again and decorate it for Christmas. So enjoy the peek and dream of living in a miniature house for the holidays. I will join you for a cup of tea in the kitchen. The annual event has come once again. Each year I choose a different theme. 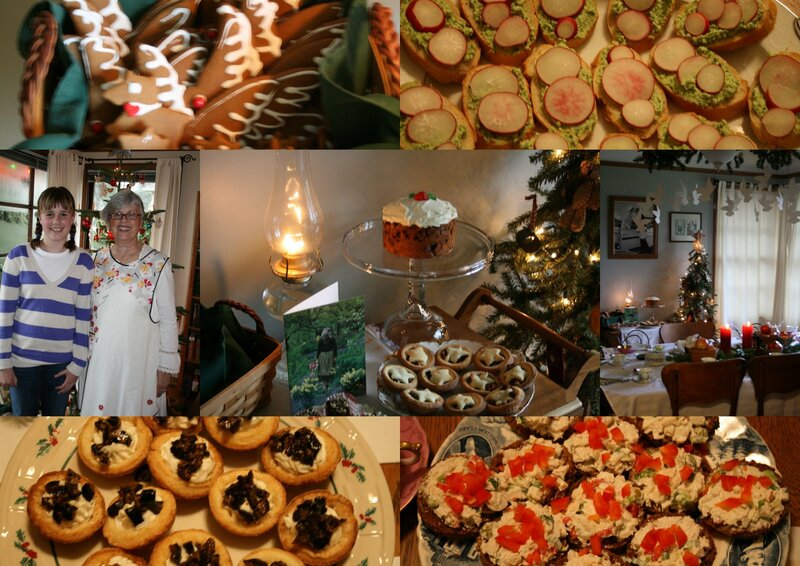 This year it was Take JOY, a Tasha Tudor Old Fashioned Christmas Tea. and now she is as tall as I am and 13 years old. I reproduced the best I could a table setting from one of Tasha's books and had doves hanging above the table. The dollhouse, which I will show another day, was decorated and ready for the celebration. Several of the recipes came from the Tasha Tudor cookbook. the holiday's together as a family. It was a day of Delight! A special "me" treat is a cup of chai. When I am out and about, I love stopping at the local coffee shop for chai. Isn't this a beautiful cup of chai? There are getting to be many companies out there selling there brand of chai. 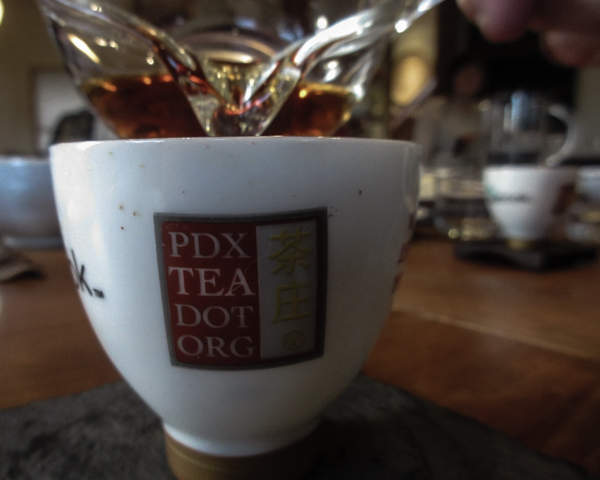 The first one I discovered was Oregon Chai, made here in Oregon. and having tea in little throw away ceramic cups on the street. and a spicy version. Love the spicy recipe. that was the case here at a coffee shop called Mix Sweet Shop in Ashland, Oregon. Do you drink chai? Have you found a mix that is your favorite? Right now at Starbucks you can ask for caramel flavoring be added to the chai, now that feels very festive. 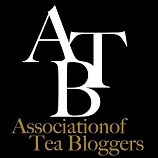 I am on a path of discovery, looking for the best cup to savor. Do tell, what is your favorite? A Merry Christmas to one and all! Don't those pink lanterns just want to make you dance and celebrate? 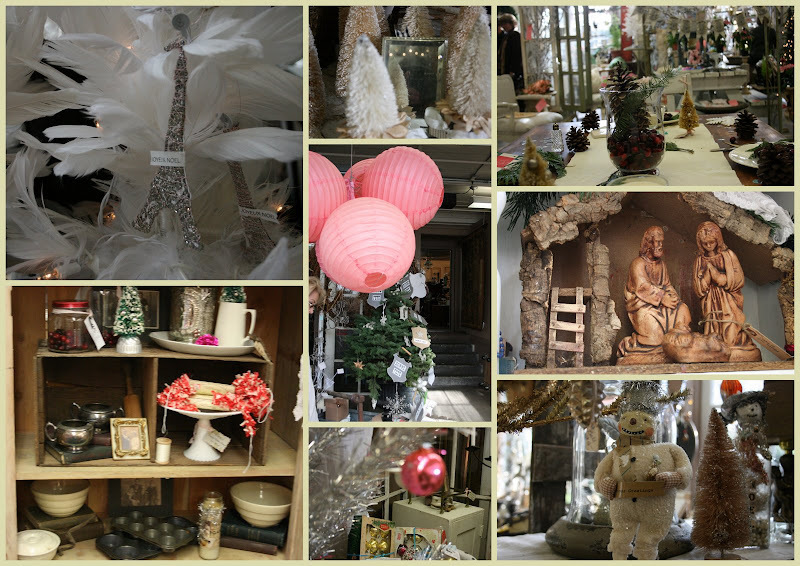 On a recent visit to our local Monticello Antique Mall they were celebrating the season in style. Pink, white, and creams were the color of their season. So fresh and just plain gorgeous. Isn't it fun to see a different perspectives on decorating when you travel through the malls? I love it, it just makes my heart do a happy dance. What is making your heart do a happy dance during this festive time? Tip: I have heard that those little bottle brush trees you find at craft stores in green can be bleached and sprinkled with sparkly stuff to look like the trees in the top middle picture. I am going to try it as soon as I can get to the craft store. Do you ever make them? My friends have come to expect homemade cards. the past two years I have recycled the cards sent to me from the year before. sleeve they put around the cup and made my cards from them. Inside it says: May you be wrapped in the warmth of the holiday season. The heart came from the card they sent me last year. Oh the giggles and chuckles I had making them. You are welcome to copy the idea, but fair warning - your friends might think you have totally lost it. May you be wrapped in the warmth of the holiday season. 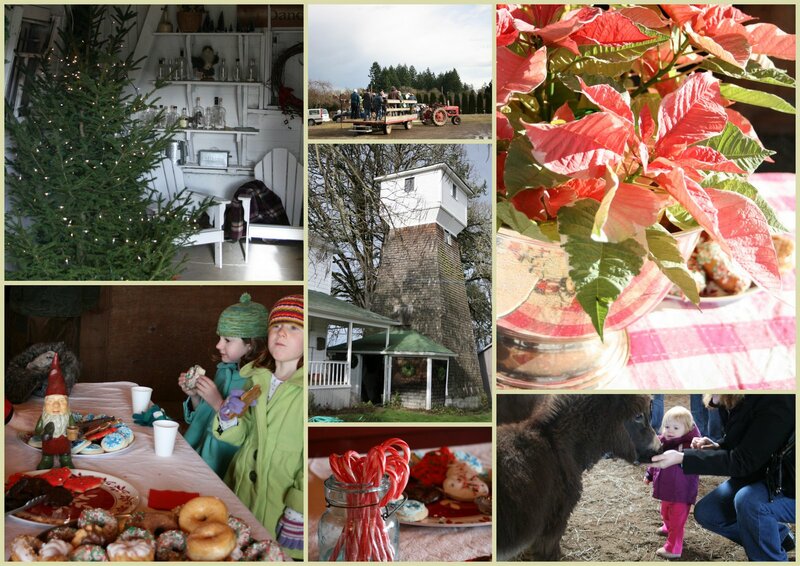 The past weekend was full of holiday JOY. This week I do believe I will share some of that JOY. It is indeed beginning to look like Christmas everywhere I go. Saturday we traveled to the country for hot chocolate and donuts. There were families and children of all shapes and sizes. Isn't that what the holidays is all about, children? Christmas trees and what you have is just delightful. Are you getting out, enjoying the season, maybe playing too? I will tell you, "No, I don't collect teacups". I only have this one Christmas teacup. It is so fun to bring it out for the holidays. I do believe it is beginning to look like Christmas. But for sure I don't collect teacups or teapots. This is my kitchen cupboard. Oh the colors of Christmas are here. Someone is dreaming of all those dangling things. Colors so pretty and bright. They sing in the lights. How I wish I could play. It's so exciting around here. We are decorating, preparing for a great event. Let's celebrate and dance for JOY. Dream dreams that dance in the night. Searching for the perfect tree. The country side looks ready. The ground is so soft. It is like walking on a pine scented sponge in the forest. it waited for us to find the perfect tree. Yes, the tree was found, cut, then loaded into the car. How lovely are the trees this time of year. More lovely is the search and the walk in the country. Do you find a live tree for your celebrating? but two imitations also adorn the house. Oh how I love these gorgeous trees.